Wastecooking – Make Food, Not Waste is an entertaining road movie detailing a journey through five European countries, where the only thing on the menu is what others call garbage. David Grob the host of Wastecooking – Make Food, Not Waste, whips up creative meals aimed at fighting food waste and our consumption-driven society, while at the same time inspiring us to search for creative solutions. David travels through five European countries on a quest for treasure. According to the UN’s Food and Agricultural Organization (FAO), one third of all food produced around the world ends up in the garbage – roughly 89 million tons of food a year in Europe alone. David seeks out places where waste happens and asks: How can we save food that would otherwise go to waste and transform it into delicious recipes? Austria, Germany, the Netherlands, Belgium and France are all on the menu. Along his journey, he cooks up a fresh bouillabaisse made from by-catch on a French fishing boat, invites people to participate in a “Schnippeldisko” in Berlin, and combs Mother Nature for edible delectables. All the while, he compiles an innovative culinary travel guide with clever and delicious meals made from all sorts of rescued and collected food. 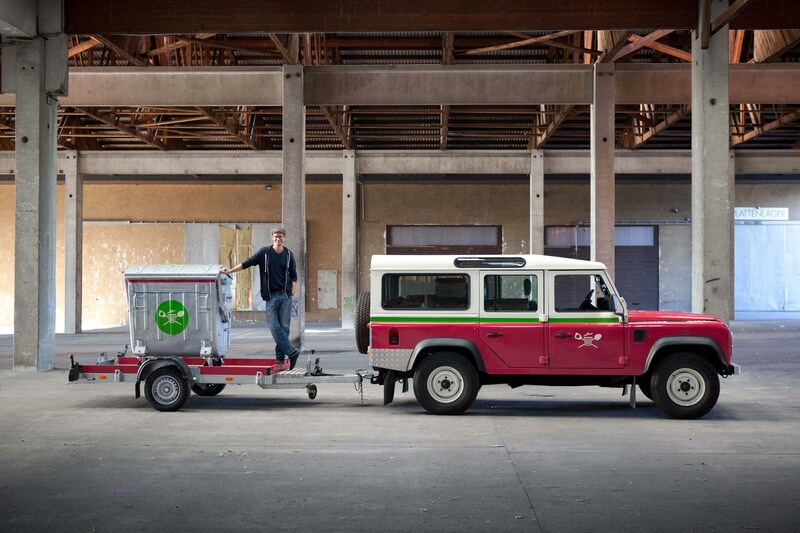 With him on his journey is his trademark garbage dumpster, which he rebuilt into a mobile cooking stove, and his wastemobile, which runs on used vegetable oil.